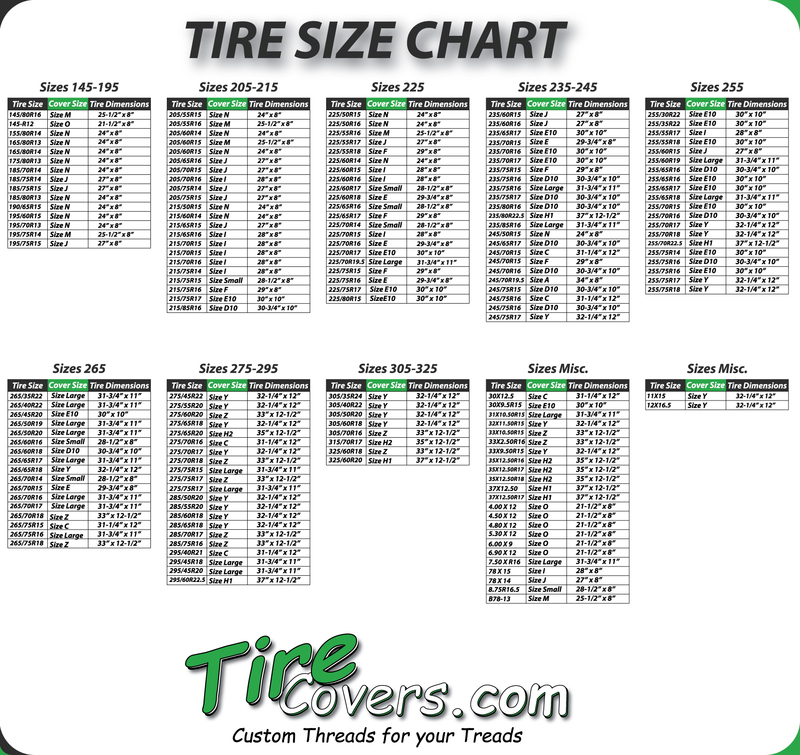 In the past few months we've listened to several new customers complain about a company who sells tire covers for about $14.00 online. We decided to investigate to compare the quality of their tire cover to our tire covers. We found out it takes about 3-4 weeks for delivery. That is because they get made overseas in China and are sent to America. We got one made and couldn't believe our eyes when we opened the package. For one the quality of the graphics was absoultely terrible. 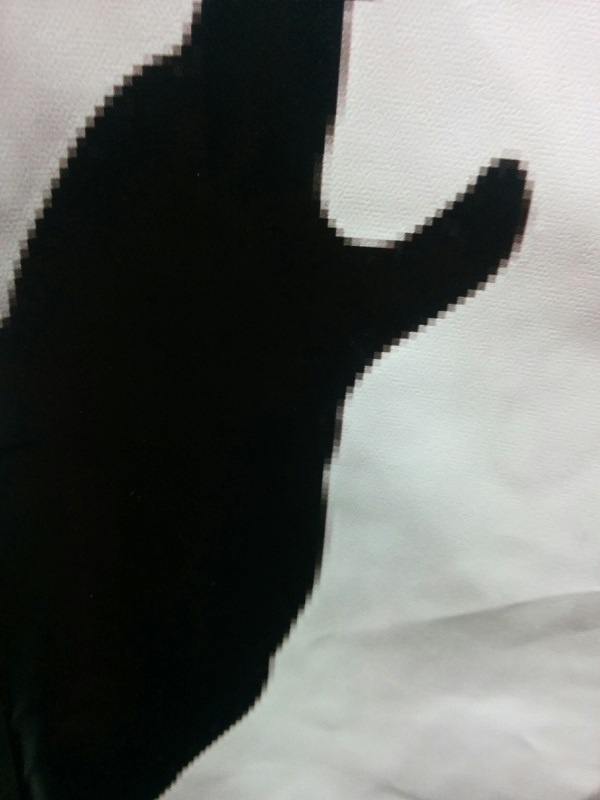 It reminded us of printing images on paper with a dot matrix printer back in the mid 1980's. The graphic was essentially a sticker put on the nylon cover. We all know what will happen when water turns to ice or ice turns to water on that cover. Your sticker will end up on a windshield while going down the highway. The quality of the material is night and day when you put it besides ours. You can read about our process here. I've seen pocket panchos that you'd buy at a party store with more integrity than there material and that isn't saying much. The sewing that this company does is terrible and not straight at all. It's almost like they don't care about the quality or it's all done with inferior automation that hasn't been refined. Saving a few dollars doesn't go far on this product. You'd have to buy one every month because the quality just isn't there to take the abuse from the elements. You get pixels with an import Tire Cover. Look at the edges all you see is blurring and sqaure corners. They must not use quality graphics when printing. 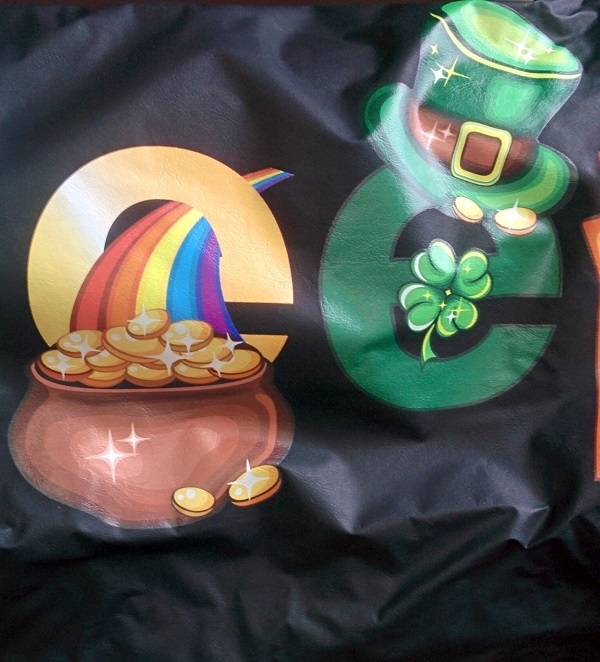 When you get a tire cover from us you get quality resolution. We use the latest coputer programs and make sure our graphics are in vector form before printing them. 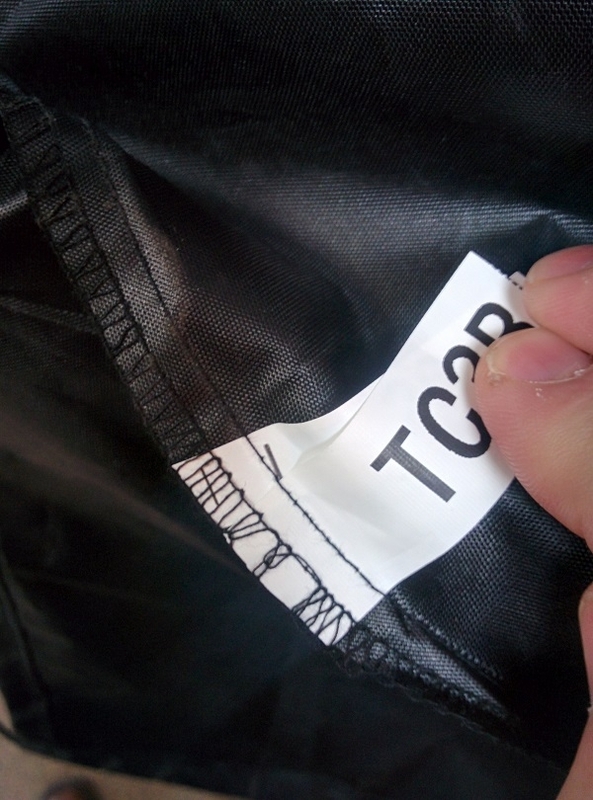 A cheap tag and misaligned sewing makes for poor quality. This shows you they don't care about the product. 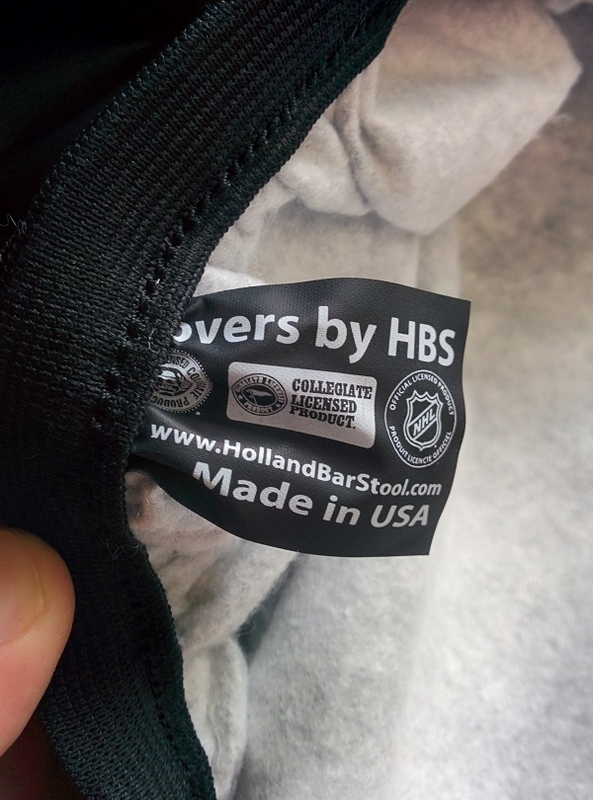 Our quality tag shown by the actual manufacturer (Covers by HBS) along with made in the USA printed on it. 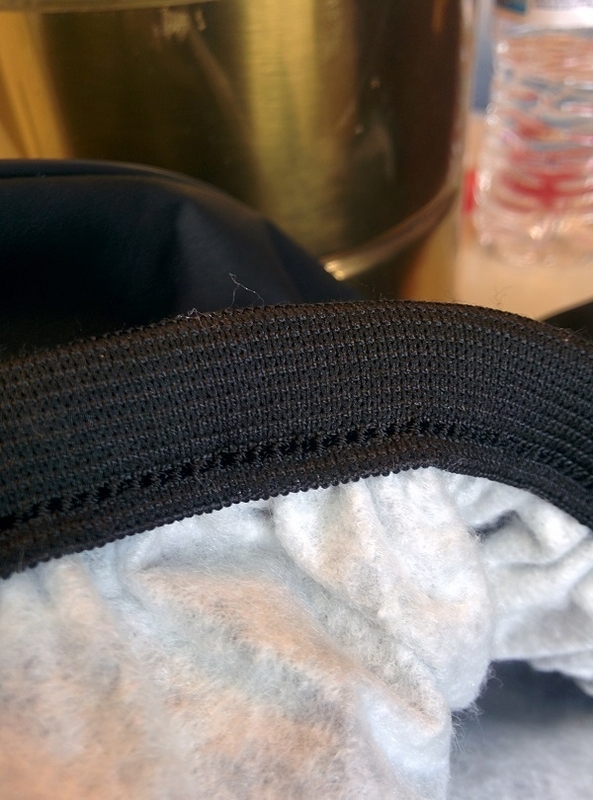 We use a strong elastic band that ensures this won't blow off and is professionally sewn in. 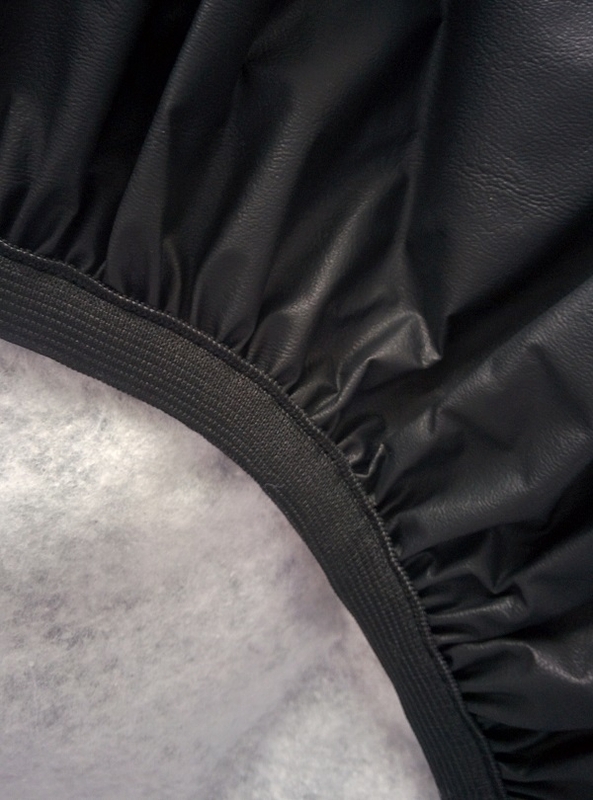 Hand sewn into the marine grade vinyl is how we make sure your product stays where it should. 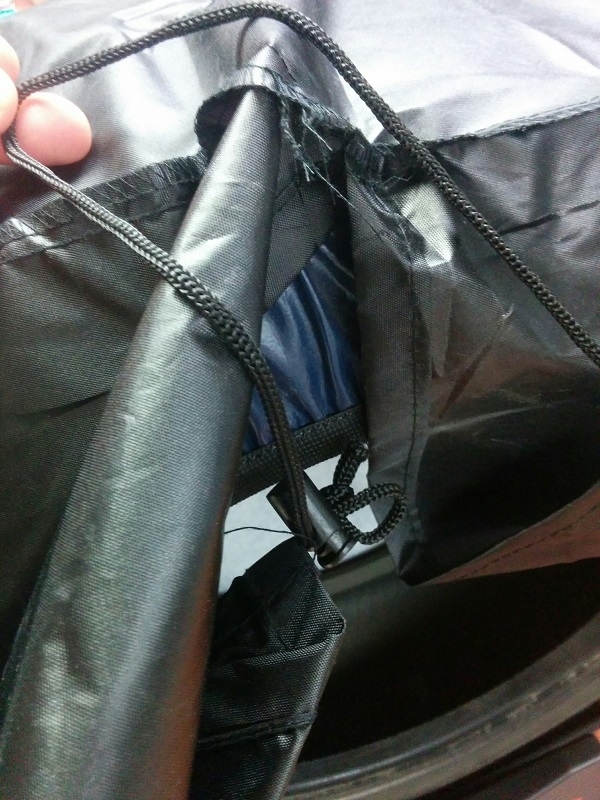 They sure don't care about quality control and it shows in there sewing. 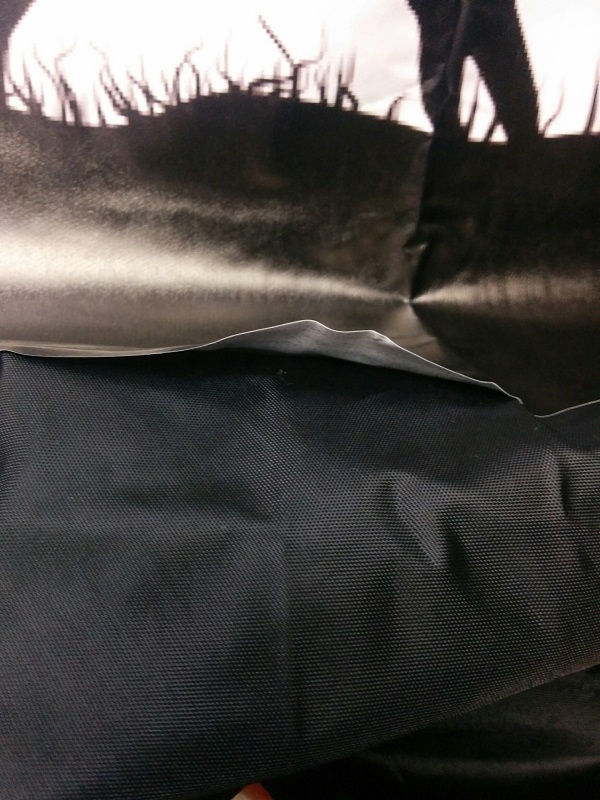 Here is a prime example of how their sewing looks. How long do you think that will last? 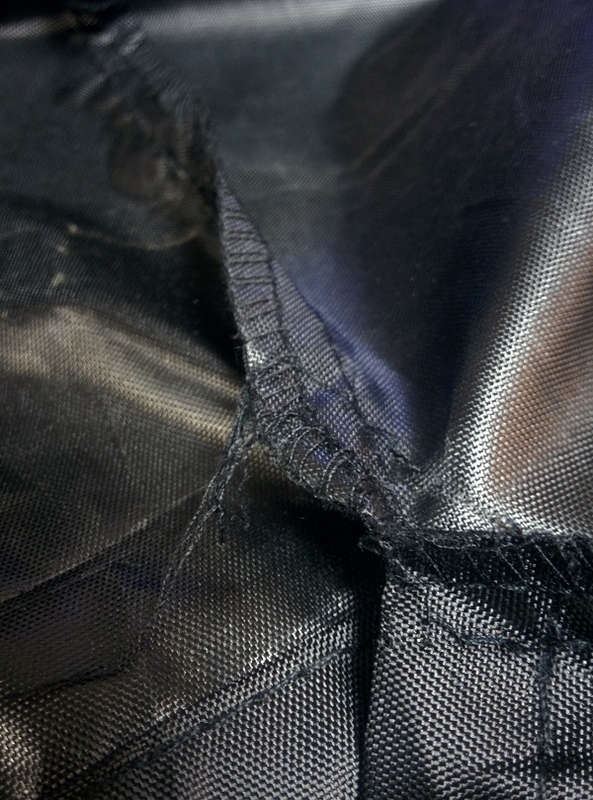 At our facility we make sure our sewing is top notch and is going to last. We like the lines we make because it shows that our employees care about the product. They use stickers that adhere to the nylon cover. This would only last a few days in a temperature changing environment. 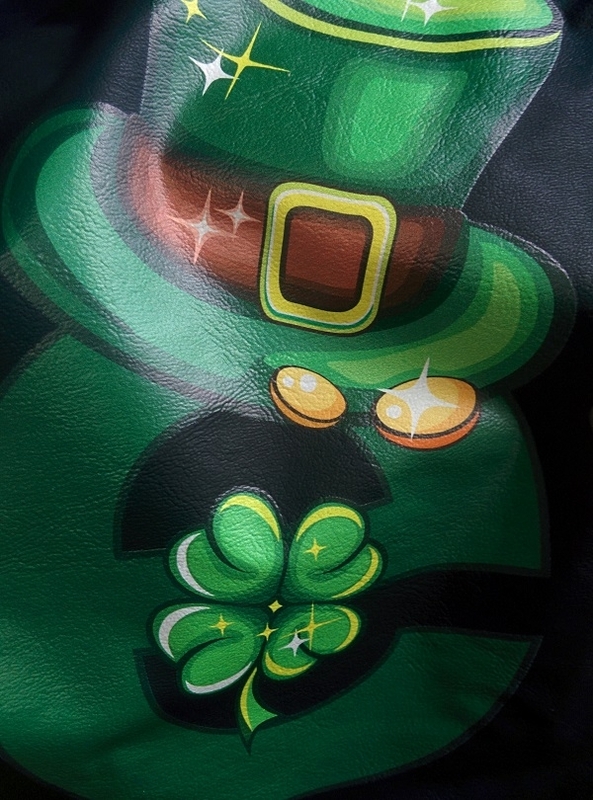 Tirecovers.com uses UV resistant inks combined with the use of vector graphics to ensure you are getting the best tire cover on the market for a few more dollars.